Last night Prince William and Kate attended their first official public event together since the Royal Wedding. The extravagant formal fundraising dinner for ARK (Absolute Return for Kids) took place at Kensington Palace. As many as 900 guests attended dinner paying £10,000 per head and there was also a bidding auction held on charity lots which included a luxury Kenyan safari and a trip on the Maltese Falcon sailing yacht. Guests attending the event included Liz Hurley and Kevin Spacey. William used the event to announce that his and Harry's own Prince's Foundation and ARK will collaborate to further help poor children in Africa. 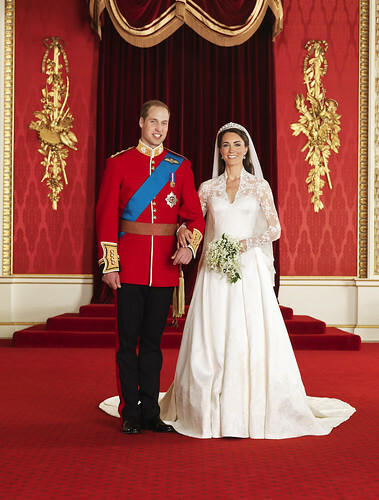 Prince William wore black tie and Kate looked stunning in a dress designed by Jenny Packham.